PRICE REDUCTION!!! 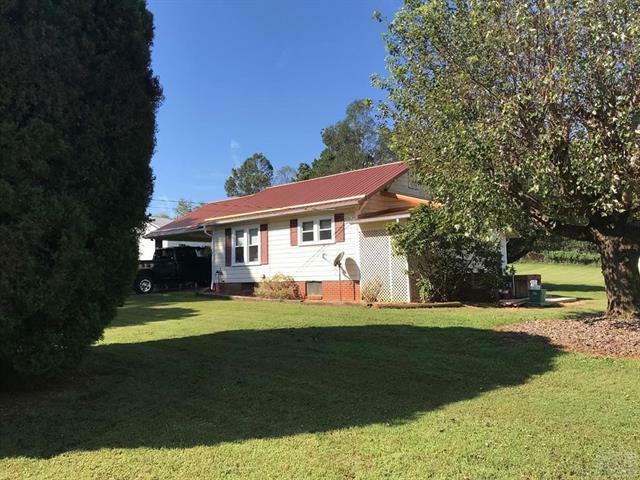 This is your opportunity to own a MINI FARM just inside the city limits of Morganton. This property is very close to town activities, yet, being at the end of a private drive and surrounded by trees, you feel like you are in your own world. There are scuppernong vines and blueberry bushes on the property. Nestled inside this peaceful environment is a 730 sf home, a metal parking garage and workshop, a chicken house, and a fenced 2 story barn, all on your own 1.75 acres. The home has a copper metal roof that was installed in 2011, vinyl replacement windows, and laminate flooring. The large yards would easily accommodate garden spaces, a fenced area around the barn for pets, and lots of play room for the kids and adults. There is a partial unfinished basement with plenty of storage. The carport, along with the garage/workshop, provide plenty of parking space. Offered by C Shane Cook & Associates. Copyright 2019 Carolina Multiple Listing Services. All rights reserved.